Signmenu : Digital signage display template of a quick service restaurant. This template showcases the offerings of a fast food restaurant serving soup, pasta and more. 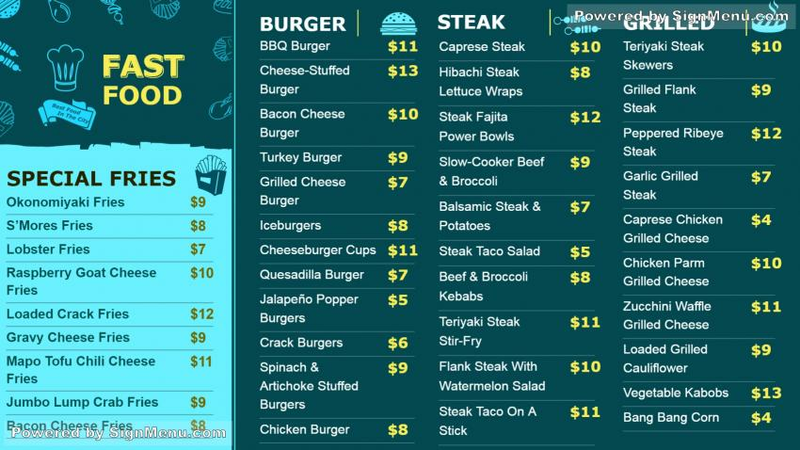 When placed on a digital board, this template will surely attract the target audience and increase the restaurants business. Casual fast restaurants are rapidly adapting digital signage menu boards for better and more effective customer engagement. Further, digital systems are easy to install and simple to operate thanks to the advancement of digital software technology. This template is ready for download and use.